Date displays range from simple month/year formats, to day-of-week/month/day/century-year. Various characters, such as space, hyphen, slash, etc., can be inserted as field delimiters (digit seperators). Video "downcounter" mode provides automatic display of 30 or 60 minute downcount to zero. Can also be used as a source ID generator to display up to 9 lines of 20 characters each. The source ID information as well as all setup data is retained in non-volatile memory, and can be displayed along with the time and date. 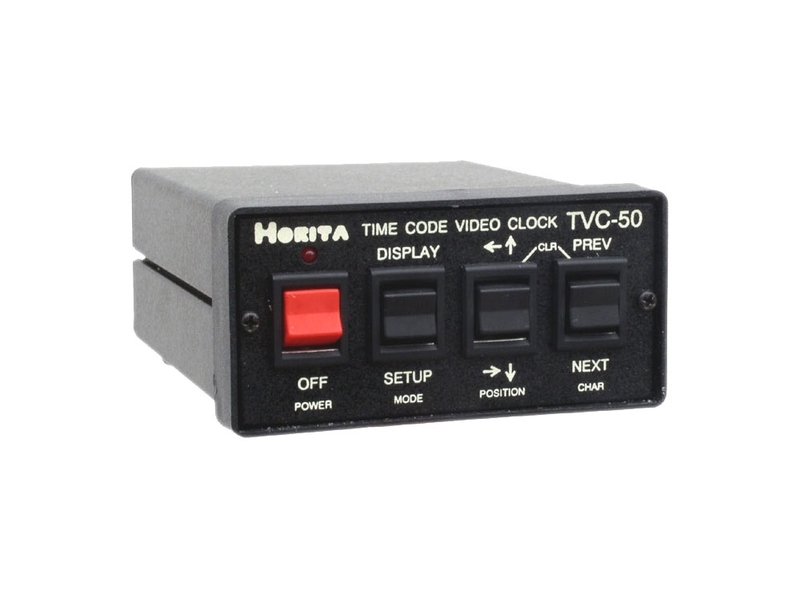 The TVC-50 reads SMPTE time code and provides a video display of time and date, based on the time an user bit value of the SMPTE time code input or on the time and date from an internal clock/calendar. Selectable character attributes, for white/black, contrast, background on/off, flashing on/off, and horizontal and vertical size and position control. Operates with SD NTSC RS-170A or PAL 625/50 analog composite video. 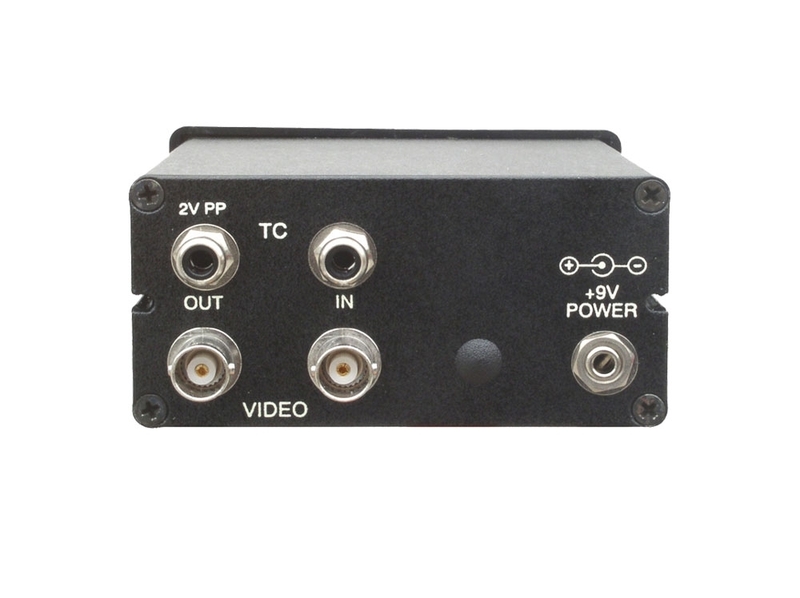 Outputs 2 volt p-p reshaped SMPTE time code for passing on to other units. Operates from +9 to +13 volts DC for portable use in the field. Includes 9 volt AC adapter.